In 1999, three lads from Teignmouth, Devon released their first studio album, “Showbiz”. Their sound was angry and aggressive, yet melancholic and graceful. An unusual combination, but it is one that works. 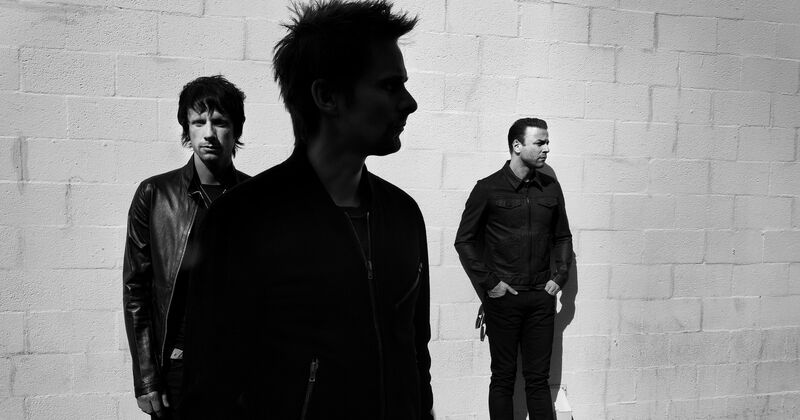 With the release of their third album, titled “Absolution”, Muse became a world-wide recognized band. But the biggest success yet, was the band’s fourth album in 2006, “Black Holes and Revelations”, with singles such as “Starlight”, “Knights of Cydonia” and “Supermassive Black Hole”. After that, Muse released two more albums, “The Resistance” and “The 2nd Law”, both albums that never quite became as popular as “Black Holes”, with both critics and the audience. But now, Muse is back with their seventh studio album, “Drones”. Over the course of 16 years, Muse had created their own unique sound and take on music. Their style, however, has evolved quite a bit over the past few years. Their first two albums, “Showbiz” and “Origin of Symmetry”, were bombastic, more raw and rock. With the arrival of “Absolution” in 2003, the band premiered their more classical influx, with more violins and complex compositions, such as the infamous “Butterflies and Hurricanes”. This sound continued, with the addition of electronic experiments on “The Resistance” and “The 2nd Law”. In the interview, Bellamy claims “Drones” is their “best album”. I quite agree with him. In my opinion, “Drones” is the best material Muse has released in almost a decade. A big claim, but for someone who has always been a fan of the band’s earlier work, it is like they have (finally! finally!) gone back to the sound that belongs to Muse. Songs like “Psycho” and “Dead Inside” are unpolished, old-fashioned rock anthems, with a raging guitar, pumping bass and sharp drums. On “Reapers” and “The Handlers”, there is a bit more drama, a bit more strings and synths, but it still has the same raw and unpolished feel of “Drones”. What I really love about this album, is that there is a clear narrative throughout the 12 songs. The first track, “Dead Inside”, is the introduction to the story, in which one loses hope and becomes vulnerable to certain dark forces, which arrive in the shape of the next couple of tracks. Eventually, with “Revolt”, one starts to fight back against the brain-washing and mind-controlling, leading to the “Aftermath”. But a Muse album would not be a proper Muse album without at least one elaborate and complex composition. On “Drones”, it is in the shape of “The Globalist”, a 10 minute grand finale to a great album. Want to see Muse performing “Drones” live? This weekend, the band performs at Pinkpop Festival in Landgraaf, The Netherlands. You can buy tickets for the festival here.